BAFTA will be holding a preview screening of the new Channel 4 comedy Hang Ups in July ahead of the show's TV premiere later in the month. The event will also include a Q&A with star and co-writer Stephen Mangan. The screening will take place at the Princess Anne Theatre at 195 Piccadilly on Thursday 5th July from 6.45pm and tickets are on sale now to the general public. 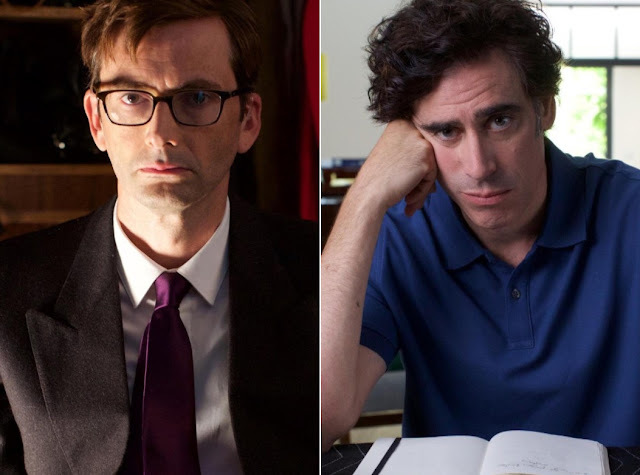 Written by Robert Delamere and Stephen Mangan, Hang Ups is an unconventional comedy about an unconventional therapist trying to keep his unconventional life, and patients, from falling apart. Mangan stars as Dr. Richard Pitt, a therapist who finds himself at a crossroads in life. After the collapse of his previous group therapy practice, Richard develops a new form of therapy – weekly quick-fire sessions with his patients through a webcam. The few patients on his list present a hilarious and outrageous catalogue of neuroses, phobias, issues, anxieties and psychopathies, but even these short sessions, where he’s confronted by everything from the sublime to the ridiculous, are not his greatest challenge… His patience and temperament are stretched to their limit by the daily interruptions of a demanding extended family, errant teenagers and his own trouble-filled past. As we posted yesterday, David Tennant will take on the role of Martin Lamb, an eerie cloakroom attendant who doesn't like to talk to people. The all-star cast also includes Richard E. Grant, Jessica Hynes, Arsher Ali, Charles Dance, Katherine Parkinson and Celia Imrie amongst others.